The Silvia lamp features a chrome metal cut out base and white shade. 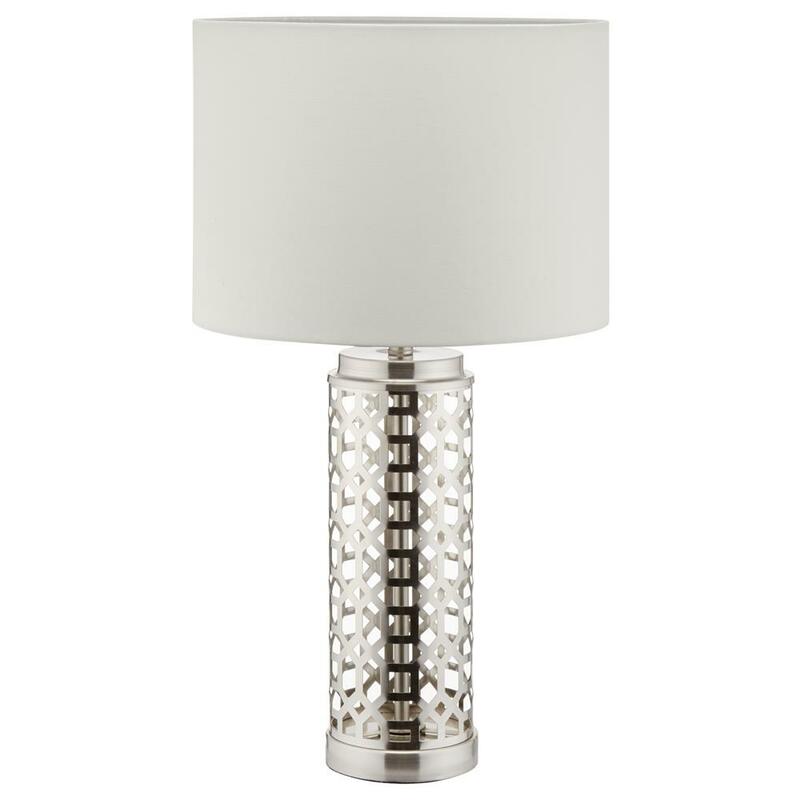 Looks great on top of a small end table as the base is narrower than most lamps we carry. 13" x 13" x 24"